Hypoxic ischemic encephalopathy is also referred to as birth asphyxia and is a permanent and serious neonatal head/brain injury that happens when there is limited blood flow or oxygen deprivation to the brain, near or at the time of birth. When this happens brain cells for the infant may die off rapidly, generating major brain damage issues. Unfortunately, this kind of injury is preventable in the majority of cases. 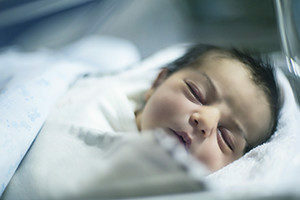 In the event that HIE does happen, doctors may be able to intervene and limit the amount of damage caused, but this requires that therapy is administered immediately after the baby is born. If there is any reason for a physician to suspect that a baby has HIE, it is required that they provide hypothermia treatment. What Causes HIE Birth Injuries? As you might expect, the longer that an infant goes without oxygen or has decreased oxygen to the brain, the more permanent and severe the injury will be. In the event that you believe your child has suffered an HIE injury as a result of a doctor’s negligence, you need to consult with a Baltimore medical malpractice attorney immediately. HIE cases require extensive knowledge of medicine as well as the law and how medical malpractice suits unfold. Reaching out to an experienced attorney sooner rather than later may be the best way to protect yourself and to receive compensation for the injuries sustained by the child. The celebratory event of giving birth to a new child can be significantly marred by an HIE injury. Getting help from a knowledgeable Baltimore HIE Attorney may be the critical first step towards putting your child’s health first and getting the compensation necessary to provide for his or her treatment.